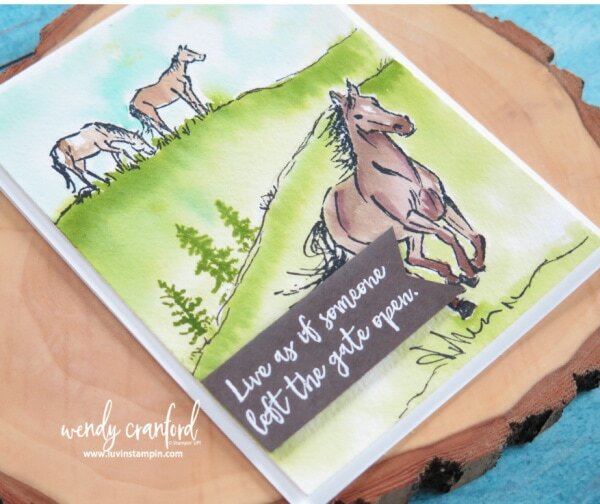 Horses were part of my life most of my childhood. Aunt Laurie (the youngest of all the aunties) has a strong love for horses. When I was about 9 years old she surprised me with the gift of a year of horseback riding lessons. Turns out I’m not that great at riding horses. But I loved trying. I should have known that the horse things wasn’t MY thing when my favorite part of our weekly trip to the riding place was stopping at McDonalds and testing the fries. That’s right people, I ate at McDondalds weekly. It was the late 80’s, we didn’t know any better. When we got our fries we tested them to see who was wimpy. If it was a wimpy fry that just crumbled we didn’t eat it. Only the crunchy got devoured. It was the best. Today’s video features a fun watercolor technique, hope you enjoy. Supplies used on this card are listed below. Click on the image to purchase that item in my online store. ← Did I Lose Money on My Retreat To Go? Beautiful card. I love the watercolor technique and like you haven’t used it for awhile-looks like this weekend I will dapple into it. Beautiful card! Great inking/painting!! Love hearing how you’ve learned from the women in your life! Loved the card and the story. 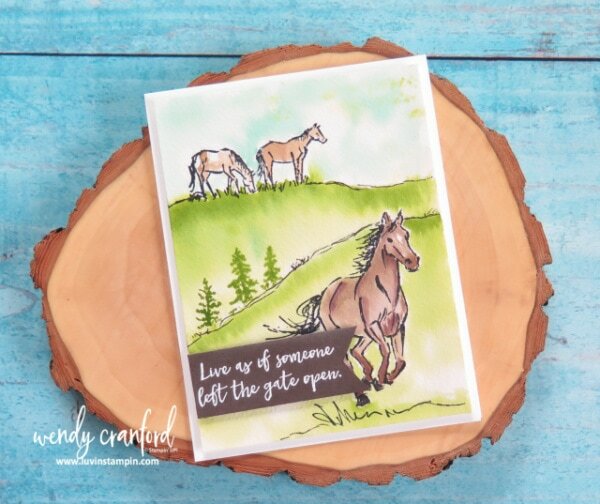 I have many happy memories from my childhood that inspire me when cardmaking. I also like you Thrsday tutorials of your experiences as a SU demonstrator…looking forward to more.